Apple is re-launching its previous two iPhone models with a slash in prices, preparing the way for the latest version, the iPhone 5. The company is slashing the prices of its previous models - iPhone 4 and iPhone 4S - by an average of about Rs 2,000. The 8GB iPhone 4 will be now available at Rs 26,500 and the 16GB iPhone 4S at Rs 38,500. 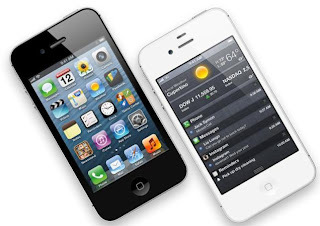 The 16GB iPhone 4S was previously available for Rs 41,500 and the iPhone 4 costs Rs 28,300, dealers said. “We have already started receiving queries from customers about these re-launched models. We are expecting them to arrive soon, may be in the next two to three days,” said Rahul Prajapati, store manager of Reliance iStore in Mumbai’s suburban Ghatkopar. Retailer ezone has released the ‘sale prices’ of the re-launched iPhone 4 and 4S models on its Web site. “All iPhones can’t be selling at the same price and this is to clear the inventory ahead of the iPhone 5 launch. We expect the iPhone 5 to be introduced by the last week of October in India,” said Anshul Gupta, principal research analyst at Gartner. Apple has appointed Ingram Micro as a retailer for large format retails and Redington — which would be distributing through regional channels — as its retailer for general trade. “I am waiting for the re-launched iPhone 4 because I think it’s a value-for-money deal,” said Rohan Singh, a 24-year-old Apple loyalist working at a tax consultancy.